Can you imagine our world today without earbuds? Everyone loves earbuds and most people own a pair or two. I mean what is there not to love! They are convenient, lightweight, affordable and portable. Thanks to the advancement in technology today earbuds come in all shapes and sizes and with great features to look forward to. That is why we decided to review a list of the best earbuds under 50 dollars. The amazing thing is that today you can get these features even with earbuds under 50 dollars. Now it is easy for you to make the perfect choice. Before we get down to the list, here is a Rundown list for those who are in a rush. With very many available choices one generally confused on the factors to consider when choosing earbuds. Below are general things that you can put in mind when you are ready to buy earbuds that will meet your individual needs. #1.Fit and Comfort:Different earbuds come in different designs. There are in-ear design and those that have hooks. The design matters when it comes to comfort and fit. Depending on what you are going to use these earbuds for that you need to choose wisely. Think about where you are going to use the earbuds, if it’s for the gym then you need a fitting that can stay on your ear for long and comfortable. #2.Quality of sound:If you are someone who loves to listen to good music, clear crisp sound or an audiophile, then you need to consider the sound quality of the earphones as this will enhance the experience of using earbuds. #3. Durability:If you are someone who is very active and tend to strain your ear sets, then a durable pair might be just the best choice. Check the built in the cords and design of the plug to make sure they are able to serve you for a long time. Wireless-these offer more flexibility as you do your activities, like going to the gym or working. With the wireless earbuds, you don’t have to worry about tangles and so check to see if they are what you are looking for. Bluetooth connectivity– make sure that it’s the latest version of the Bluetooth, that it’s compatible with your devices, the active range the and it offers seamless connectivity. Battery life– how long is the battery life and the charging time or if it has to use a battery. Generally, most Bluetooth and active noise cancelling earbuds use batteries. Now Check the type of battery that is required, is it chargeable or not. Waterproof/ Sweat resistant-if you are going to use the earphones for activities that require you to sweat, then check the Splash rating for the particular earbuds. Active noise cancellation– the earbuds have a built-in microphone that has a circuit that blocks out ambient noise. If you are in search of superb sound quality in budget-friendly earbuds, then you need to check out the MEE audio M6 pro these earbuds deliver even 3 times some higher cost earphones. They are specially designed for musicians and audiophiles. These truly are an amazing pair of earphones at a decent price. The best feature about these earbuds is majorly their sound quality. They offer amazing crystal clear crisp sound it’s unlike anything else you have ever heard before. The M6 pro comes ultra thin 5 micrometre sound drivers that deliver amazing sound balance. The second best thing is that they also do a good job at noise isolating if you get a good fit. The M6 Pro In-ear monitors come with different tips to allow you to customize them to fit comfortable according to your ear type. The cable has a mic, remote and volume controls that can be used with smartphones and tablets. M6 PRO In-Ear Monitors do a great job, not perfect pairs and definitely, there are other high-end earbuds that offer better sound quality but considering all features that you get for the price, it’s a win for us. The Beyerdynamic Audio Products have always made a great name and are well-known for their amazing sound quality. They are lightweight earbuds making them very comfortable to wear for long period of time. Despite the fact that they are a lower end IEM (in-ear monitors) they still do offer quality sound with distinctively clear lows, mids and highs with solid bass. The second good thing about these is they also give good noise isolation which can shut down noise even as loud as the train station. These earphones come with a 3-button remote control, so now you can now enjoy a hands-free call which comes very handling particularly if you have to juggle very many activities at the same time. Well as the saying goes “you get what you pay for”, with earbuds in this price range there is some quality that we are compromising. For the Beyerdynamic Byron Wired, the finish and feel of the cable, pin and the buds are flimsy and they don’t look like they can last very long. The TaoTronic earphones were built to cater for someone who likes multitasking. you can literally do anything with these phones on. Are you someone who is looking for earphones to take to work? The TaoTronic earphones might be what you have been looking for, not only are they affordable they are very comfortable to wear with a magnetic ear hook that ensures that tight secure fit. They fit tight and snug and they stay on well in your ear they are ideal for places where you move around. The other great thing about these earphones is that they have Bluetooth 4.1 connectivity with noise cancelling abilities. This feature gives you room to manoeuvre around as you work. You can receive phone calls even in noisy areas, like for example a construction site. Their ease of use is also enhanced by the three control buttons that are very close to each other on the earphones; which enable you to reduce/ increase volume, receive calls and pair with the devices. The other beauty about these earphones is that they are waterproof with a splash rating of IPX5. You can use these earphones at the gym with no worry of them getting them spoilt. Man, these earphones give us so much life considering the price range. The compromise with these earbuds is that the sound quality is just average, nothing to wow, just okay. However, as we mentioned, these are ideal for work areas and thus I think the sound quality is not really a deal breaker in these areas. These come with 3 tips, 3 rubber earbuds, a USB charger, and a pouch. The Sennheiser Company is known for making headphones and earbuds with great sound quality. Note: These are German made so you can be guaranteed of long-lasting earbuds. A plus feature for someone who does a lot of activities and tends to stain their earphone cords. If you strain most earbuds in this price range the cord will be off in weeks, these tend to endure longer they will surprise you. Another good feature to look forward to with these earbuds is the sound quality which is impressive with clear lows, mids and highs, even thou it is generally hard to get the best bass with smaller earphones, these do try. The one downside we encountered with these earbuds is the cords tend to tangle together, so cable management is a hustle, although this is a common factor with wired earphones. This is a Japan model that delivers good sound quality that competes with other higher-end models. They are lightweight and give a comfortable fitting so that you can wear them for a long period of time without feeling fatigued. The best feature that you get with these earphones is the IEMs produce a high-quality soundstage and this is amazing considering the price range. The other good thing about these earphones is that they built with carbon and aluminium and this makes them very durable. If you are on the hunt for budget-friendly earphones with a good fit and will not fall off even at the gym, then Brainwavz SO IEM earphones can do the job. They are a bang for your buck and offer good sound quality with a metallic finish. These are a definite upgrade from the iPhone earbuds because they offer higher quality sound as well as being lightweight which makes them very comfortable to wear. The best feature that you get with these earphones is that they have a metallic housing in-earphone design this construction quality is up to standard and that makes them more durable. Yes, we want to buy cheaper earbuds, but we also want them to endure the day to day activities and still are functional in the long run. The second attractive feature that comes with the Brainwavz SO IEM earphones is that these are noise isolating earphones. The one challenge that we had with these is that the on and off buttons do not work on Android devices. This is very disappointing as versatility in earphones these days is desirable because not everyone is an iPhone User. However, it’s not a deal breaker as they can still be used with Android devices if you are willing to compromise on the button functionality. Premium foam tips that not only give you a comfortable fit but ensure there is a perfect seal that enhances audio listening. The on and off buttons do not work on Android devices. This is a selection for the music lovers in this category earbuds below 50 dollars. The Sound Magic E10 set offers high-quality sound and amazing deep base that is well balanced. These have dynamic 10mm Neodymium drivers that produce clear crisp sound and deep powerful bass with superb musical detail. It comes with an all metal sturdy design and is available in different colours in addition to being budget-friendly and having noise isolating capabilities. These earphones are very comfortable to wear and come with a variety of tips to ensure a good fit. You can literally wear them for 8-9 hrs straight without feeling any discomfort. The Sound Magic E10 is also lightweight and is a great alternative if you are tired of carrying around the heavier active noise cancelling headphones around. The main challenge we found with these earphones is the wires that come with these earphones are very stiff that it’s hard to fold them when storing in their case. This can be annoying but is not generally a deal breaker. The jack is straight and not at 45-degree angle, thus means that stain will be put on the cord over time. These are the best selling headpieces on Amazon; it is not just because they are affordable, but also because of the great qualities that you get from these stylish headphones, truly value for your money. Apart from that you can make hands-free phone calls and follow your favourite TV series or movies without worrying about lagging behind unlike the Bluetooth 3.0 headphones. They are perfect for listening to great music or a long workout, with state of the art acoustic components that ensure deep bass and crystal-clear treble. With long battery life, up to 8hrs they earphones charge up quickly with a charging time of 90mins. These come with a USB connector that is both compatible with IOS and Android devices. They are also waterproof with a splash rating of IPX7 which means that they are perfect for any outdoor activity in adverse weather conditions like a good work out or running where you can sweat, letting you focus on the activity at hand and not worry about spoiling your headphones. They are ergonomically designed, this means that’s they are designed to ensure that you wear them with comfort to your ears, even for long hours without fatigue. With hooks that provide stability, comfort and confidence that your earbuds will not fall out when you are doing that vigorous exercise. They come with a carrying case, a cable management tip, three sets of ear tips, small, medium, large to ensure that you get the right size for your comfort. Lastly, they come with a dual port USB car charger, a 3-foot charging cable and lighting and mini USB connectors. Are you in search of earbuds that don’t require you to increase the volume all the time? You know how annoying it can be when you want to listen to a song and you get to the final volume control of your earbuds and the sound is still very low. With the Sony MDRX 50AP, you don’t have to worry about the music being too low again. They are amazingly loud yet you get a clear balanced sound which makes listening to music soft and smooth. The best feature that you get from these earbuds is a great microphone for making and receiving calls which are also compatible with both Android and iPhone devices so no worries here. These affordable earphones are very comfortable to wear and are also the perfect gaming earbuds. They do a great job at blocking the outside noise and you can listen to your audio exclusively. The main concern with these earbuds just like many other earbuds at this price range is their durability. They might not also have the perfect fit for everyone, so you have to adjust this a bit. Come with a flat cord that is tangle free. If you live in a country like mine, where the road traffic rules are very strict on how you conduct yourselves especially when it comes to receiving phone calls while driving. Then you will come to appreciate Bluetooth wireless earbuds. These are what they call the True wireless earphones with no cords at all. Well, they say that women are mostly the masters at multitasking, but in my opinion, both sexes can as well drive and speak perfectly. So it does not hurt to grab you a set of Bluetooth earbuds. The SoundPEATS earbuds are also great for listening to music while exercising. Their simple built design makes them lightweight and thus ideal to wear over a long period of time. They have a tight fitting and come with hooks to ensure that the stays on as you work out in the gym or when you are riding your bike. With adequate sound quality, decent fit, sweat resistance and the price range you can never go wrong. Their best feature is that these are Bluetooth earbuds with Seamless connectivity; they can connect up to 2 stories. They can be shared, one piece with someone around you, within a reasonable distance. As with cheaper end earphones, there is a flaw somewhere, and with these, we noticed that the battery does not last that long, the most you can get out of these is 6hrs. There is also the small cracking sound at the background of the music when you are connected via Bluetooth and they are not fully charged. However, we have to consider the price range and understand the compromise of getting sweat-resistant earbuds. You know that moment that you have a lot of work to do and it’s tedious and a very long. Like for example cleaning the house, doing laundry or filing papers. These tasks seem to end quickly and become more bearable when you are listening to your favourite music or just making sure that as you work you don’t miss that very important phone call. Then you need wireless earphones like the Symphonized NRG wireless Bluetooth earbuds. The best thing is that Bluetooth connectivity is also compatible with Android devices. The Symphonized NR earbuds offer great audio quality whether you are listening to music, watching videos or taking phone calls. They have an inbuilt mic and volume controls this come in handy as you can control the music and receive phone calls without reaching for the device. The other unique feature these earbuds have is that they are water resistant. This makes them versatile. Added to the fact that they are wireless. They also come with ear clips to ensure that they fit tight and snug on your ears making them an Ideal choice for the gym and outdoor activities. They don’t come with headbands and so are lightweight you literally cannot feel them after wearing for a long period of time. We know at the price range all earbuds are not perfect, with these we found that they don’t offer the best noise isolation and the Bluetooth range is also wanting, just check how far they can connect to your device. However, this is not a deal breaker, because regardless you are wireless without a cord and tangling free and you can perform better on the task at hand without worrying about cables. Additional ear tips to ensure that perfect fit. Seamless Bluetooth connection to all Bluetooth enabled devices. The Sennheiser Company is a well-known brand in producing the best products when it comes to sound quality. Today we are looking at their Sennheiser MM30i in-earphones. They are definitely good headphones for the price range. Perhaps their distinctive design so far is that one cable is longer than the other. You can wear these earphones from the back because they come with 1.2 asymmetrical cables and 3.5mm right-angled plug design. You may now be wondering why? Well, this my friend is to ensure that not all the cables are dangling in front of you as you wear them, the long one goes from behind to the opposite ear. The Sennheiser Cx 300 offer decent sound isolation due to their in-ear- canal design. This is especially important if you are looking for affordable earphones that can be used in noisy areas or during travel by air or train. Since they offer noise isolation and not active noise cancelling; this means that don’t require a battery, which we find as a plus. They come with well fitting silicon ear-tips that come in a variety of sizes to ensure comfort when wearing these earphones. Offer versatility in use by having 16-ohm impedance, you can use them with cell phones, portable music players and tablets. You get good sound quality due to their inbuilt dynamic transducers that ensure delivery of sharp highs, clear mids, and deep and booming bass. We all know that earphones at this price have to have some kind of compromises. So with these, there isn’t on the microphone, a button, for on /off. This means that you have to use your phone to switch off, and this is a challenge because these are noise isolating earphones and so if someone wants to talk to you, you have to reach for your phone or device. This also affects the durability of the earphones. 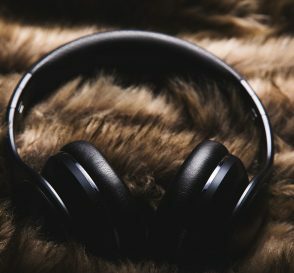 Let’s not forget that these also give good sound quality with deep bass, you will definitely realize that there is a new depth to the music you are listening when you have these on. No button for on/off on the microphone. Not ideal for outdoor activities. Have you been planning to get back into top shape lately? Maybe you have thought of going for a jog around the block and get your juices following. Music does wonders when you exercise, it is like a force moving you to do more reps and you are suddenly motivated when listening to your favourite song. With all that sweat doing a rigorous activity; waterproof earbuds seem to be the better choice. Or maybe you have kids that tend to be clumsy around you and spill drinks everywhere? Thanks to the recent new technology of Sweat resistant/waterproof earbuds, now you can even get your hands on them at an affordable price. Anker Soundbuds are waterproof/ sweat proof meaning they can withstand water splashes, heavy rain and splash rating of IP4X. The Anker Sound earbuds are not only affordable at below 30 dollars they are a wireless pair noise isolating capabilities. Them being wireless this allows you the freedom of movement as you don’t have to worry about noisy cords or tangling. The battery gives you up to 5 hrs play time and that is an okay range for affordable wireless earphones. The challenge with these earbuds is that the silicon-tips that come with the earphones do not give you a perfect fit. With us, this is a very small compromise considering the other amazing features that you get. They come with Micro USB charging cable, S/M/L ear tips, 3 pair’s in-ear ear hooks, Fit Clip, travel pouch, our worry-free 18-month warranty and friendly customer service. When you looking for earbuds at are in this category of fewer than 50 dollars most people think that you cannot get great quality sound. Then these earbuds will really surprise you. One of the best things about the Xiaomi Piston Hybrid earbuds is that they give amazing sound quality that can compare to the high-end Bose earbuds. These give great crystal clear sound quality with deep rich bass. The Xiaomi pistons have a stylish built of brushed metal with a Kevlar-braided cord that feels nice and is of great quality considering the price range. They come with different size ear tips that ensure that you have a tight fit which allows blocking outside noise. With all the noise blocked out, you can hear the music so clear and crisps, even the parts of the song that you could not hear before. The other great feature you get with the Xiaomi piston hybrid earbuds is the cords which have a fabric coating the helps them not to tangle. Well, we know that we are compromising on something when the earphones are this cheap and for these earphones the buttons seem to not work with some phones. The MEE audio sport as the name suggests were built with those who are super active and love to chase the wind in mind. If you have ever wanted to enjoy good music as you drive and the wind hitting your face then try these earphones. Trust me you will be surprised, you can hardly hear the wind. It is advisable thou to use earphones that have great noise isolation such as these or cancelling in places that don’t have traffic and are generally isolated to avoid accidents. These earbuds are a definite choice for landscape bikers. The sound quality is okay, nothing much to rave about just as much as most earbuds in the price range. If you are looking for booming bass and very sharp highs and mids the look elsewhere my friend. The other good thing about these earphones is that they have a memory wire (this is the little strap that goes around your ears) that ensure that the earphones stay on despite any movements. The cables are also durable and considering the fact that these are sweat resistant earphones you can use them for the gym or running. If you are a fan of active noise cancelling headphones like the Bose QCs series then you will love these earbuds. Most people who buy noise cancelling headphones use them mostly for travel, what about when you want to lie down for a while. The Philips SHE3590 ear buds give you great noise isolation at less than 10 dollars. Yes, you heard me right; these are less than 10 dollars. Talk about value for your money. With this price point I mean you can buy as many as you want in different colours. Their best feature is that they have reduced cord noise when running or doing a rigorous activity with them. Cord noise can be very irritating for some people and that is where they become useful. They have a soft rubber between headphones and cable that protects cable connection from damage through repeated bending. At this price point, we cannot actually be mad that they don’t provide the best sound quality in the market. 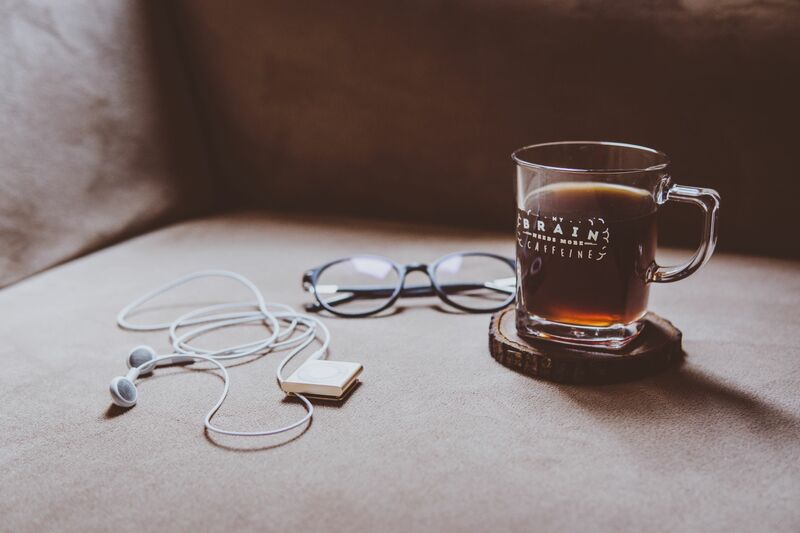 If you are one to misplace your earphones from time to time and are not so hard on the sound quality or maybe you have other more expensive earbuds but you want to have complementary earbuds that you can travel or carry around without giving a fudge about them. Then try the Philips SHE3590. Koss has been known to produce quality affordable earphones and the Koss “the plug” earphones are not an exception. These are the best affordable in- earphones in the market. The built in-ear design enables them to give quality noise isolation blocking out any outside ambient noise and lets you listen to your own music in full blast. To get that perfect fit that will not budge, just insert them slowly until you feel they are sited in your ears properly. Once they fit perfectly they are very comfortable. Apart from amazing noise isolation they give great sound quality that will surprise you, considering their price range. They are also a durable pair, if you take care of them well they can serve you well for a length of time and definite bang for your buck. The disappointing thing about these earphones is the cord that comes with them it’s kind of stiff and provides a challenge when you want to pack them in a case. They also have a right-angle plug this might be an ideal feature for everyone’s device so check your device compatibility first before buying. They earbuds that stood out of all that we have reviewed are the MEE audio M6 and the Senso Activebuds. The MEE audio M6 offer you durability, sound quality, comfort, and are a value for your buck. The Senso Activebuds are wireless, waterproof, and comfortable and give you 8hrs of play time and are affordable. If you feel that we left something out, feel free to leave us a comment below.